A few thousand dollars invested on the front end of this project SAVED MILLIONS of dollars on the backend. When comparing multiple mix designs, test strips allow for comparative analysis of performance through seasonal changes to ensure proper mix design selection based specifically on geographical location and climate. 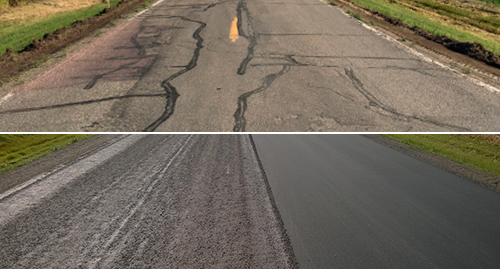 A regional wet cycle lasting the past 25 years in North Dakota created excessive subgrade moisture and road deterioration in Cass County. With 17 miles to re-construct on a limited budget, Cass County engineers looked for a better way to redesign their project specifications to fit a budget of $1 million dollars per mile. In partnership with ARRA (Asphalt Recycling and Reclaiming Association), Cass County hosted a 2-Day live seminar with demonstrations to showcase 14 different in-place recycling cross sections on their own county roads. 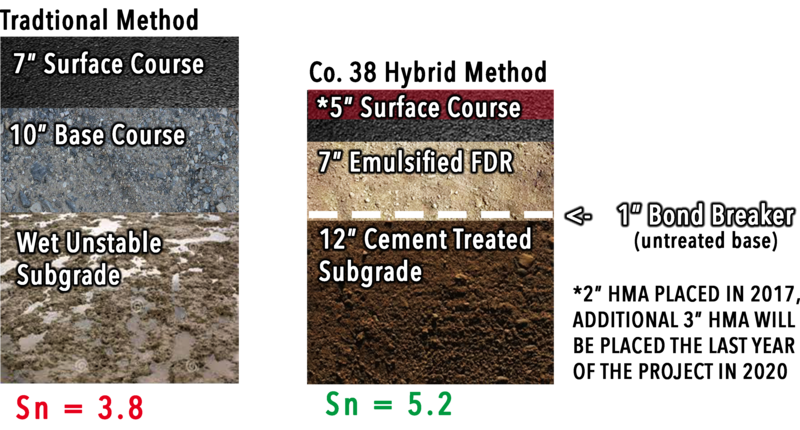 Cass County engineers monitored the cross-section’s performance and chose to implement Cement Treated Subgrade and FDR with Emulsion to repair County Road 38. Implementing these techniques on 17 miles of CR 38 will save Cass County over $7.5 million dollars. ARRA serves as an excellent network for the information exchange and technology transfer among professionals in the highway industry. The dissemination of information is one of the most valuable services any trade association can perform, ARRA continues to be a forum for the exchange of ideas and solutions to recycling concerns.